We’d love your help. Let us know what’s wrong with this preview of Rich Dad's Cashflow Quadrant by Robert T. Kiyosaki. 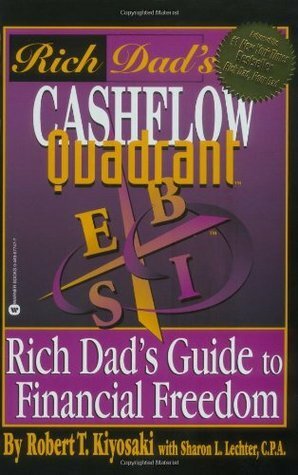 To ask other readers questions about Rich Dad's Cashflow Quadrant, please sign up. can you show me how the cash flow quadrant looks like? when this book has been published? هذا الكتاب امتداد لكتاب الأب الغني والأب الفقير ..
الكتاب فيه شرح تفصيلي لكيفية إدارة المال بشكل احترافي ومعرفة لعبة المال الرأسمالية ..
أنصح بقراءته بشدة .. علماً بأن كل كتب كيوساكي أنصح بها لسهولة إيصال المعلومة وإقناعك بشكل كبير بها ..
أعدتُ قراءة الكتاب هذه الأيام لحاجتي لوزن الأمور من جديد .. بالنصبة للمصادر المالية والنفقات ..
حينما قرأت الكتاب .. عرفت الفرق بوضوح بينه وبينه كتابي " عقلية الرجل المليونير " وكتاب " أغنى رجل في بابل " ... والذي ختمتهما حديثاً ..
كيوساكي يضع يده على ال هذا الكتاب امتداد لكتاب الأب الغني والأب الفقير ..
كيوساكي يضع يده على الجرح .. ويصف الداء .. ويبيّن المال كيف تقيسه وما هي القيمة الحقيقية له ..
سأبدأ قريباً بالكتاب الثالث له " دليل الاستثمار للأب الغني " بمشيئة الله تعالى .. وهو ضمن المخطط القادم ..
لا زلتُ أشكر الله أن أجري كلمة على لسان صاحبي " خالد الشغدلي " حينما نصحني بكتاب الأب الغني والأب الفقير الذي أعتبره بحق محور تغيّر جذري في حياتي المالية ..
Financial freedom is a vastly different from financial security. The title of the book, The Cashflow Quadrant, Financial freedom is a vastly different from financial security. Many distinctions are drawn in regards to the "left side" and the "right side" of the quadrant and what it takes to be on each side. Kiyosaki believes strongly in the fact that if you are an E or an S you play an old game that makes sense for governments and business owners because you pay the highest amount of taxes and build large amounts of debt thinking that by doing that you are avoiding taxes through credits or refunds.The left side of the quadrant works the hardest, and is obsessed with going to school to find a job and maintain their "security." Those who would be considered an S are people who are self employed and lose their income when they are not at work. (doctors, lawyers, dentists, etc.) People on the left side of the quadrant can, and some do, make a lot of money and are very successful. The problem with this success is that the more success you encounter the less personal time you have and the harder you have to work. Again, many people choose this route because they feel secure in the fact that they know where their next paycheck is coming from. People on the "right side" of the quadrant are not concerned with security and are interested in creating income both as a business owner and investor. Business owners and investors enjoy tax breaks, are seen as visionaries and risk takers and when success comes they are the people who enjoy more free time. This book is a learning tool for those of us interested in moving from the left side to the right side of the quadrant. Kiyosaki is methodical and slow in his approach and encourages people to keep their jobs while they take "baby steps" towards the B and I quadrants. This is a very simple break down of a book that I would HIGHLY recommend to anybody interested in owning their own company through the creation of a system and investing. Kiyosaki speaks of creating a system that will continuously grow and can run in your absence. If you are not interested and what I just wrote seems like a conspiracy or the rantings of a person jaded by unemployment you wouldn't make it through and this book may anger you. تذكر دعاء النبى صلى الله عليه وسلم "اللهم إنى أسألك الهدى والتقى والعفاف والغنى"
وتذكر كذلك دعائه "اللهم إنى أعوذ بك من الكفر والفقر"
It's an alright book. Gives you a bit to think about but nothing revolutionizing. The last 40 pages or so are just blatant propaganda for his first book, Rich Dad Poor Dad, and his CASHFLOW games. If you're going to read one of Kiyosaki's books then you might as well read the original: Rich Dad, Poor Dad (and be aware that Kiyosaki's only successful venture is the Rich Dad franchise). قليلةٌ هي الكتب التي لا تتركها قبل أن تتغيّر داخليًا وإلى الأبد، وبعض هذا التغيير قد لا يكون في البداية ظاهرًا، لكنّه يظلّ قلقًا واضطراباً في الداخل يتحيّن لحظته. الكتابان مترجمان إلى العربية، وقد قرأت الثاني بالإنجليزية فكانت لغة الكاتب سهلة سلسة، مباشرة وواضحة. يمثّل الكتاب الأوّل (الأب الغنيّ والأب الفقير) بالإضافة إلى كتاب (سرّ النجاح) لماركوس باكنجهام أساسًا في فنّ صناعة الحياة، تلك الحياة الكريمة التي سُلبت منّا بسبب التقاليد الإجتماعية، والمجتمعات الأبوية. في كتاب "سرّ النجاح" يطرح الكاتب فكرة "النجاح" لا كوصفة جاهزة، ولا كنصائح باردة، بل كمفهوم خالص، يمكن لكلّ قاريء أن يفصّل به ثوبه الخاص الأنسب لمقاسه وذوقه وحاجته. والكتاب يمثّل لبّ مفهوم "التمتين" الذي يطرحه الأستاذ "نسيم الصمادي". وخلاصته؛ تقوية القويّ (أي تمتينه)، و التعامل مع الضعف بحكمة الالتفاف عليه والاستغناء عنه، لا بذل العمر في تقويته، وتدعيمه. أمّا كتاب "الأب الغني والأب الفقير" فإنّه حديث عن الآباء الفقراء (أصحاب الشهادات الجامعية والوظائف المسمّاة)، الذين شقوا وتعبوا وأكل الدهر من أجسادهم ونفوسهم حتّى استطاعوا تلبية "جزء" هو الأهمّ من احتياجاتنا، وضاقت جيوبهم، ودمعت عيونهم كثيرًا لعدم قدرتهم على تلبية أجزاء أخرى من تلك الاحتياجات، في مقابل الآباء الأغنياء الذين ربّما حصلوا على شهادات جامعية وربما لا، لكنّهم عرفوا كيف يديرون المال، و يستغنون عن الوظيفة. وهكذا فما يعلمك إياه الأب الفقير هو الفقر بعينه. فيما يعلمك الأب الغني فنّ الاستغناء. كم أتمنى أن يكون الكتابان السابقان (سرّ النجاح) و(الأب الغني والأب الفقير) هدية كلّ طالبٍ ينهي مرحلته الثانوية (وهذا زمانها)؛ لأنّ الأوّل سيعينه بإذن الله على تحديد اتجاهه العلمي، فيما سيعينه الثاني بإذن الله على تحديد اتجاهه "العملي". أّمّا الكتاب الثاني لـ"كايوساكي" فهو حديث إلى أؤلئك الذين هم أمثالي وأمثال الكثيرين ممّن حولي، ممن هم ضحية النجاح الذي عرفوه من خلال تعريف مجتمعهم له، وضحايا تعاليم الآباء الفقراء أصحاب الشهادات والوظائف، الذين لا يُنكر جهدهم وصدق نصحهم، لكنّهم –جزاهم الله خيرًا- بذلوا "أحسن" ما عندهم، ولم يكن الأحسن والأفضل والأصوب. هذا الكتاب صراخٌ في وجه النائمين في العسل المغشوش، و صفعات على وجوه الغائبين عن الوعي، و حبلٌ ممدود لمن أراد الخروج من الجبّ العميق. في الكتاب تشريحٌ دقيق لواقع كلّ من يجني مالاً، وخارطة طريق عامّة للإنتقال بين خانات النموذج المربّع. وهو استكمال للكتاب الأوّل عن "الأب الغني والأب الفقير". أتمنى أن يقرأه كلّ موظّف مهما علت رتبته وامتلأت جيوبه، وأن يقرأه كلّ أبٍ فقيرٍ لينقذ أولاده الذين لو مات خشي عليهم، وكلّ مؤمن يؤمن بأنّ الرزق في السماء لا في الأرض، وبيد الربّ لا بيد العبد. بعد هذه الكتب، سيسكنك قلق حميد، وستفكّر مرّة أخرى بحقيقة حياتك وواقعك، وستعيد بالتأكيد رسم الكثير من آمالك وطموحاتك ومعالم طريقك. It would be sufficient for people eager to be investors to stop at Rich Dad Poor Dad. I could not finish this book because I felt that I was really just reading the same repetitive opinion -- that creating business systems and focusing on investments were the only wise things to do. There weren't really much practical advice or learning points to be obtained here. Why I Read this Book: Anytime a book or author gets as much notoriety as the Cashflow brand has, I feel it is my duty to at least see what the fuss is about. Plus, I can always stand to learn a little bit more about the financial component to success. For those of you who have not yet read the original Rich Dad Poor Dad or at least its review on this site, I recommend you do so before diving into Cashflow. This book is more of a sequel to Kiyosaki’s first book than anything else, however i Why I Read this Book: Anytime a book or author gets as much notoriety as the Cashflow brand has, I feel it is my duty to at least see what the fuss is about. Plus, I can always stand to learn a little bit more about the financial component to success. For those of you who have not yet read the original Rich Dad Poor Dad or at least its review on this site, I recommend you do so before diving into Cashflow. This book is more of a sequel to Kiyosaki’s first book than anything else, however it does serve as a worthy stand-alone book if you so desire. The real beauty of this book as well as any other from the Rich Dad series, is Kiyosaki’s amazing knack for writing in a way that is easy for even the most average of persons to understand. Whether you are a well versed personal finance expert or someone who has done little more than manage an allowance as a child, there is a lot here for both to learn. Much of the book consists of Kiyosaki relating various career paths with his four quadrant system he has developed. This system breaks careers and wealth building into the categories of employee, self- employed, business-owner and investor. The real key to the whole system is getting yourself into either the business-owner or investor quadrants in order to really get on the path to financial success and freedom. It is these two quadrants together that lead to great wealth building. Some of the teachings will no doubt seem obvious and kudos to you if that is the case more often than not. The unfortunate truth is that a great majority of our society has been brought up thinking that the career path of being a great employee of a great company is what all our training as children all the way through university has been building towards. Please don’t get me wrong, for many the path to success is directly up the corporate latter. This is fine with me as long as those who have defined success in this way have done so while knowing all of the other options available. If Robert Kiyosaki has done nothing more than bring attention to the fact that there is much more possibility to a career than getting a job for someone else, he has done us all a great service. In fact there is much more available now than there ever was, and the opportunities will only grow. Those of you who have spent a few hours on Reading For Your Success have no doubt been unable to avoid the many experts proving this to be the case. The books you will find here show you the many paths to financial and personal success. It seems like every day someone is finding another unique and exciting way to define their success, so please continue to explore. Reading Cash Flow Quadrant was extremely liberating for two reasons. First off it made me even more aware of the new and exciting roads to success that were not encouraged throughout my years in university and prior. For me I can never read enough about the road less traveled. The second was that I knew there were millions of people reading Robert Kiyosaki’s books all over the world and there was a pretty good chance that like-minded excitement and inspiration was brewing in these fellow readers as well. Keep in mind that it is not just you or me as individuals who are better off for reading books like Cash Flow and others on this site. It is our success-minded population as a whole that is better off for those around us being as motivated and encouraged as we are. Mark my words; it will be people just like yourself who will be with you all along your journey to success. I encourage you to embrace the lessons in this book for their value, but more importantly I encourage you to embrace the experiences and opportunities that a book like this represents on your road to success. The odds are that you will never be able to look back and pinpoint just one thing that led you to accomplish your goals, but instead it is the accumulation of all your knowledge and experience that grants you success. Cashflow is another worthy lesson to add to the list. کتاب آموزشی خوبی بود. در این کتاب اومده که درآمدزایی به 4 نوع کارمندی، خویش فرمایی، مالکیت کسب و کار، سرمایه گذاری انجام میشه و دومورد اول را سمت چپ چهارراه و دو مورد آخر را سمت راست چهارراه نامگذاری کرده و ابتدا هریک را توضیح داده و مشخصات و صفات آدمهای هربخش را نیز بررسی کرده است. سپس به توضیح اینکه چطور میتوان به سمت راست چهارراه قدم گذاشته و درآمد خود را از این بخش به دست آورد. بخشی که با کارکمتر درآمدی بیشتر نسبت به سمت چپ عایدتان خواهد شد. هرچند نویسنده بسیاری از مثالهای خود را برروی بازار ا کتاب آموزشی خوبی بود. در این کتاب اومده که درآمدزایی به 4 نوع کارمندی، خویش فرمایی، مالکیت کسب و کار، سرمایه گذاری انجام میشه و دومورد اول را سمت چپ چهارراه و دو مورد آخر را سمت راست چهارراه نامگذاری کرده و ابتدا هریک را توضیح داده و مشخصات و صفات آدمهای هربخش را نیز بررسی کرده است. هرچند نویسنده بسیاری از مثالهای خود را برروی بازار امریکا آورده که برای ما کاملا غریب است اما نکات گفته شده در کتاب آموزشی خوب و مفید برای علاقمندان به کتب اقتصادی است. This book will help you understand how money works. Basically we all generate income from one of four quadrants. 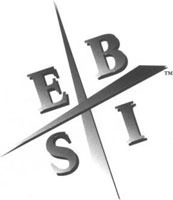 Traditional school drives most people to trade time for money on the “E” and “S” quadrants, when in reality true prosperity comes from producing value in the “B” and “I” quadrants. This is a must read! It contains invaluable information. True principles of prosperity we're talking here. READ IT! This book expands on the concepts presented in Rich Dad Poor Dad. Don't expect a detailed guide to getting rich; Kiyosaki explains that he doesn't write how-to books, but rather provides the mental framework that's necessary for gaining great wealth. He calls it the BE-DO-HAVE approach: "strengthen your thoughts (being) so that you can take the action (doing) that will enable you to become financially free (having)." Kiyosaki promotes himself as living proof that you can get rich quickly; he went This book expands on the concepts presented in Rich Dad Poor Dad. Don't expect a detailed guide to getting rich; Kiyosaki explains that he doesn't write how-to books, but rather provides the mental framework that's necessary for gaining great wealth. He calls it the BE-DO-HAVE approach: "strengthen your thoughts (being) so that you can take the action (doing) that will enable you to become financially free (having)." Kiyosaki promotes himself as living proof that you can get rich quickly; he went from homeless to millionaire in 4 years, and financially independent in another 5. Understandably, he doesn't believe in the "get rich slowly" movement, and thinks you're wasting your time if you do. He also rejects such other common wisdom as seeking job security, relying on mutual funds, and considering a house an asset. "If you have a secure system that produces more and more money with less and less work, then you really do not need a job, or need to worry about losing your job or need to live life below your means. Instead of living below your means, expand your means. To make more money, simply expand the system and hire more people". "Your boss's job is to give you a job. It's your job to make yourself rich. Are you ready to stop hauling water buckets and begin building pipelines of cash flow to support you, your family, and your lifestyle? Minding your own business might be difficult and sometimes confusing, especially at first...the hardest part of the process is at the start. Once you make the commitment, life really does get easier and easier." The reference to hauling water buckets relates to an analogy at the beginning of the book. Think of money as water. Most people try to increase their income by working more hours, or carrying more buckets of water. This is exhausting, and can only get you so far. Instead, it's better to run a business and invest to earn passive income 24/7, represented by building pipelines that provide a constant flow of water. The book explores Kiyosaki's idea of the Cashflow Quadrant, which divides income generation into 4 quadrants. The E and S are on the left, the B and I on the right. The left side values security, while the right side values freedom. The right side has more tax advantages. The right side must be good with financial numbers. The left side is riskier because you need to live within your means and keep your job. "B" can leave their business for a year or more, and the business will be more profitable when they return. "S" business would collapse if the owner left. "S" owns a job, "B" owns a system and hires competent people to operate it. Become a B before an I because I's invest in B's. Having a business will give you business sense, plus the free time and money to invest. Levels 0-3 are poor or middle class, and invest unintelligently, if at all. Level 4 - Long-Term Investor: starts early, uses stocks and mutual funds to get rich in the long term. Level 5 - Sophisticated Investor: uses riskier vehicles like real estate, businesses, new stock issues. Level 6 - Capitalist: creates investments that create jobs and make others rich. A house is a liability, not an asset, because it doesn't generate cash, and it costs you in maintenance and taxes. Formula for wealth: "build a business and buy real estate"; make money with C corporations, and shelter the income in real estate. This is an intriguing follow-up to "Rich Dad, Poor Dad," and I enjoyed the way Kiyosaki devised his four quadrants. He definitely has a point about the difference between each quadrant or type of person. He provides sensible advice for transiting between columns. As an interesting aside, he makes an excellent point about the public education system. I had already begun homeschooling my children because of many of the points that he discusses in his book. Specifically, the system's tendency to cr This is an intriguing follow-up to "Rich Dad, Poor Dad," and I enjoyed the way Kiyosaki devised his four quadrants. He definitely has a point about the difference between each quadrant or type of person. He provides sensible advice for transiting between columns. As an interesting aside, he makes an excellent point about the public education system. I had already begun homeschooling my children because of many of the points that he discusses in his book. Specifically, the system's tendency to create employees who do things exactly and unquestionly, without thinking outside the box. I, personally, am not homeschooling my children so that they can grow up and become "B" or "I" folks (though I'd like to see them do so), but so they learn how to think and question. It was just interesting to see those points brought up against the public education system in a financial book. My intended method of managing money trends more towards Dave Ramsey's advice than Kiyosaki's, in terms of acquiring (or not acquiring) debt, but given the local housing bust, I think Ramsey's advice has certainly played through. That said, I appreciated Kiyosaki's perspective on "how can I afford this" rather than "I can't afford this"; that is, seeking creative methods to finding a solution, rather than giving up. Brilliant. Now is the time to get focused on how to acquire financial intelligence. Recommended by coworker Josh F, this book presents some complex or "hidden" truths that will open your eyes to false conventional financial wisdom. For example, a mortgage isn't an asset but a liability in disguise. Def got me thinking about the importance of upping my financial knowledge as well as challenging my thinking of being an employee vs being a business owner. 1-وضع الخطط و التمتع برؤية طويلة الامد. 2-الايمان بضرورة تأجيل الشعور بالرضا. يستطيع طبيب الاسنان مثال للفئة S القيام بالعمل كله وحده و لكن تكمن المشكلة فى أنه أذا ذهب فى اجازة فسوف يذهب معه دخله . مدراء الشركة B :"نحتاج الى طائرة نفاثة حتى يتسنى للمديرين التنفيذين حضور الاجتماعات اسرع"
المستثمرون I : "نحتاج الى عدد اقل من المدراء التنفيذيين حتى لا نحتاج الى طائرة نفاثة "
Įdomu buvo skaityti ir susipažinti su autoriaus požiūriu į finansus, pinigus ir darbą. Galbūt ne su visom idėjom norisi sutikti. Visgi, sakyčiau, knygoje dėstomos mintys praplėtė akiratį bei leido geriau suvokti ir pažinti save - pats kvadrantas, suskirstantis pinigų gavimo būdus, žinios apie investuotojų lygius ir tipus, pasidalinimas savo ir aplinkinių patirtimi. Preveden kod nas kao “Tok gotovog novca”, samo preformulisana verzija knjige “Bogati otac siromašni otac”. Ako ste pročitali bogatog oca, preskočite ovo. Ako niste, predlažem da to pročitate, i još jednom preskočite ovo. An extension of the Rich Dad Poor Dad series. The author had introduced the Cashflow quadrant in his first book and has attempt a detailed version about it but seems to have failed in doing that. The cashflow quadrant identifies the different means of making a living - Employee (E), Self-Employed (S), Business Owner (B) and Investor (I). The idea is to move from active income i.e. E or S to B or I. An Investor makes minimal effort to earn money and let's his capital does the job. This should be An extension of the Rich Dad Poor Dad series. The author had introduced the Cashflow quadrant in his first book and has attempt a detailed version about it but seems to have failed in doing that. The cashflow quadrant identifies the different means of making a living - Employee (E), Self-Employed (S), Business Owner (B) and Investor (I). The idea is to move from active income i.e. E or S to B or I. An Investor makes minimal effort to earn money and let's his capital does the job. This should be the eventual objective of every person according to the author. While the concept itself is useful but doesn't warrant a book of itself. A lot of the content is repeated from the first book. The author has tried to put in a lot more examples in this book which adds value but didn't feel the need for as many. The much maligned Robert Kiyosaki is here to open your eyes to the new age of finance. The age in which great sums of money are needed just to survive into retirement. Do you realize that if you're in your 20's now you'll need approximately $2.5 million to retire on? Just look at how quickly those gas prices are going up and imagine the cost of living 45 years from now. Kiyosaki believes that the government and business are conspiring to keep the general public down by advocating education as th The much maligned Robert Kiyosaki is here to open your eyes to the new age of finance. The age in which great sums of money are needed just to survive into retirement. Do you realize that if you're in your 20's now you'll need approximately $2.5 million to retire on? Just look at how quickly those gas prices are going up and imagine the cost of living 45 years from now. Kiyosaki believes that the government and business are conspiring to keep the general public down by advocating education as the end-all and cure-all to the American Dream. As a former educator at the college / university level, I can tell you that an education will get you a direct ticket to debt if you don't look to your financial betterment and learn how to invest in business and real estate. This book is a must read for people who don't want to struggle financially all their lives or end up working as a Wal-Mart greeter at 75. And if you think, like many of my former students, that a $100,000 salary will bring you wealth and security into retirement, think again. Considering that half that money will go in taxes (income, property, sales, etc.) you've got a miserable $50,000 left over. That should cover your mortgage, now what? Kiyosaki and others on the cutting edge, realize that today one cannot rely on the government or one's employer for their financial present or future and that owning a business in some capacity is the wave of the future. And more and more people are jumping on the bandwagon, home based business on the rise (interesting that the majority of new entrepreneurs are women). This is a must read for current and future providers. A great follow up to the first Rich Dad book... people earn money on one of 4 ways, or quadrants: 1. being and employee (E) 2. being self employed (S) 3. being a business owner (B) or 4. being an investor (I). This book goes into the advantages and disadvantages of each. It focuses mainly on the B and I quadrants because that is where the tax advantages are, and that is generally where the rich make and KEEP their money. Refrescante. Lectura obligada para quienes quieren entender como funciona el mundo, para quienes creen en el esfuerzo y quieren trabajar para si mismos en vez de trabajar para otros o para el Estado. Si usted gusta de salir a protestar por más protección del estado, por sus 'derechos' o por la desigualdad entre ricos y pobres, NO LEA ESTE LIBRO, no lo va a entender, o al menos terminará indignado por su contenido. Recomendado sólo para personas de mente abierta. ROMPE TUS PARADIGMAS.